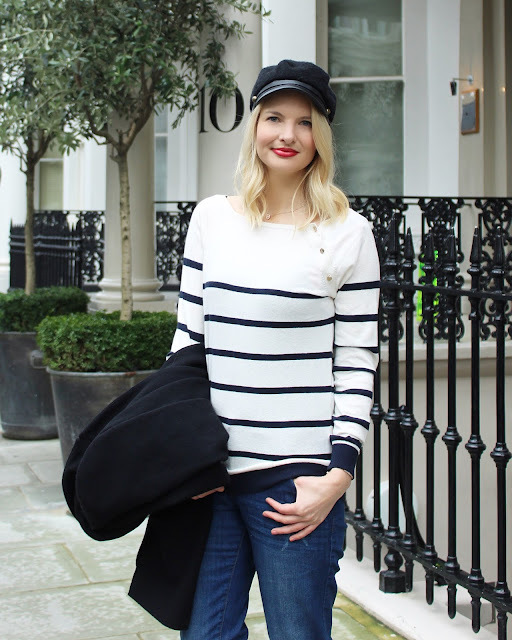 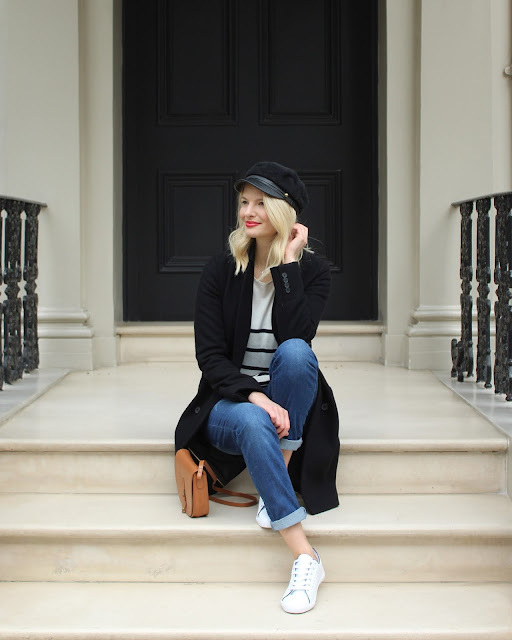 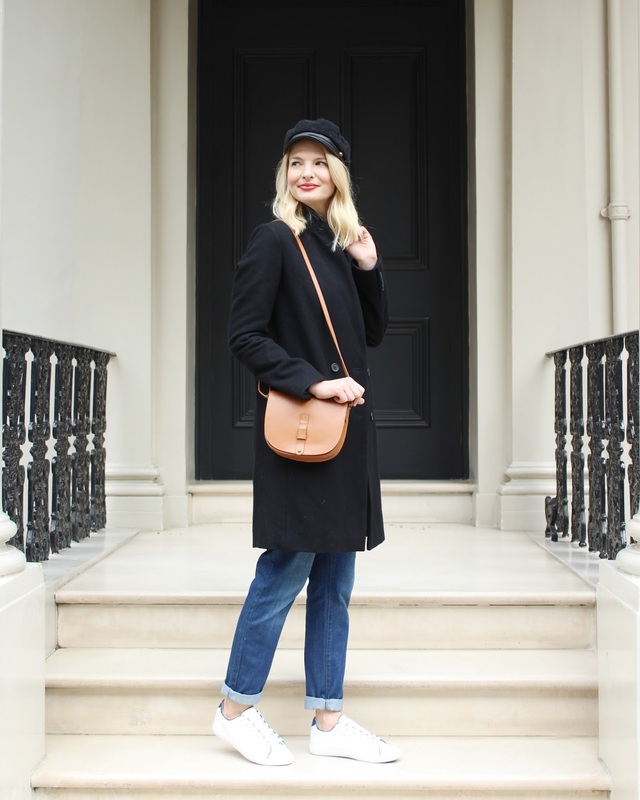 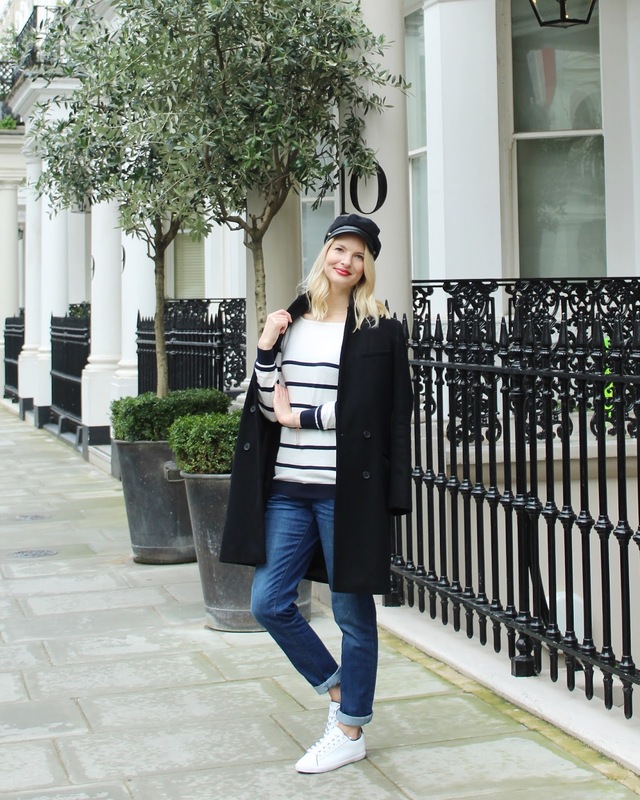 Yesterday I took over the La Redoute Instagram account for day 4 of LFW and after a very hectic weekend it was all about being casual but chic. 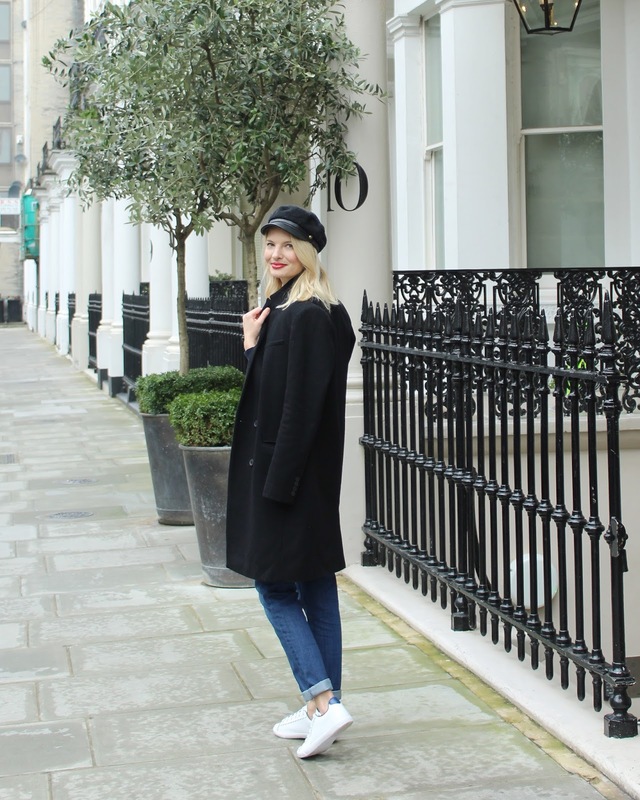 I've decided to stick with something I'd usually wear and went for a stripey jumper, boyfriend jeans, trainers and this gorgeous black coat - which is currently on sale! 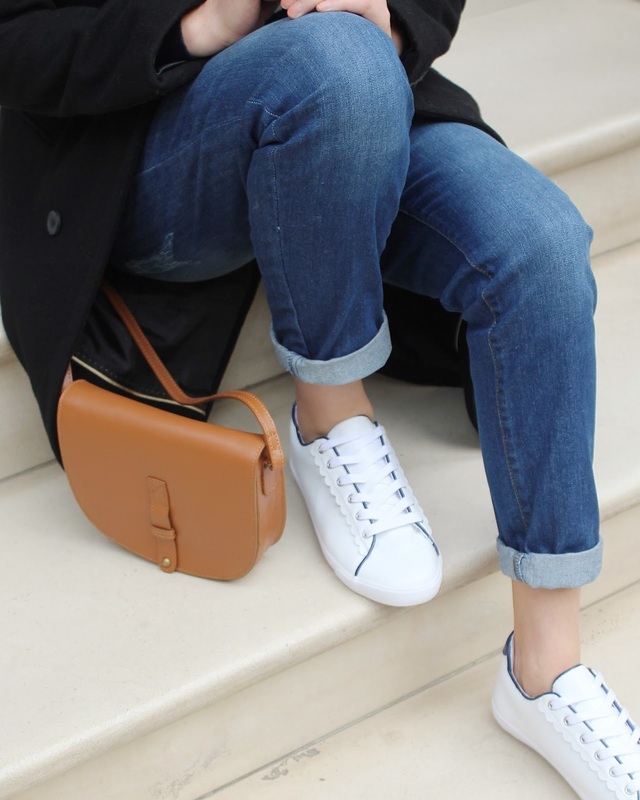 I'm so glad I went for trainers and this lovely tan cross body bag bag as LFW means always a lot of rushing around.